It is the most special topic now-a-days in this regularly deteriorating environment. In the real terms health and fitness are two sides of the same coin means both are very necessary to live a healthy and happy life. Without proper health and fitness one cannot have a feeling of physical, mental and social well being. It is the common understanding which everyone must follow throughout the life for the wellness of their life and keep body and mind functioning in balance. The real meaning of the health and fitness involves the efficient and proper working of all the body systems such as heart, nervous system, kidney, liver, digestive system, brain, etc. A person with healthy functioning body organs is called as a healthy and fit person. 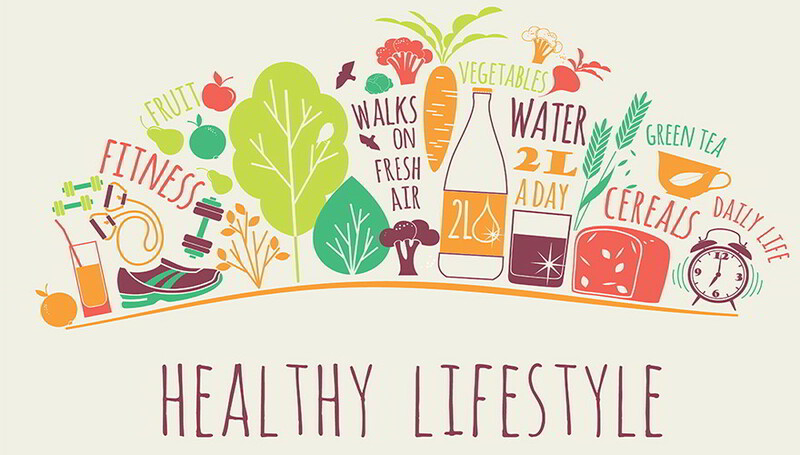 Being healthy and fit is not so easy in such a crowded and polluted environment. It is a big challenge to the whole human fraternity to maintain fitness together with the technological improvement in the modern world. Whenever the topic of health and fitness is discussed, many more questions arising in our mind that how to be healthy and fit, what habits we should follow to be healthy and fit, etc. Human body has lots of independently working organs however interdependent as well. If any of the organ suffer problem, it affects other organs too and arise complications. The functioning of any singular bodies coordinates the functions of all together. Human body has many important organs however internal which we cannot see from outside. So, it arises a big question that how we can keep our internal organs safe and proper working in order to maintain our health and fitness. Following proper and timely daily routine with necessary physical exercises and healthy food on daily basis is the way to maintain health and fitness. Healthy food provides our body all the required and essential nutrients, vitamins, proteins, minerals, healthy fat and carbohydrate. Regular exercises tones up our body muscles, keeps skin fresh, keeps spine straight and fit, regularize digestive system functioning, improves blood circulation to whole body, keeps body and mind in balance, etc. We should go for regular physical, blood, etc check-ups at least once a year to make sure that everything is normal. We should take proper and enough sleep. We should go for daily exercise. We should eat healthy food. We should never skip breakfast and other meals of the day. We should drink plenty of water on daily basis. We should never be in stress and try to avoid mental tension. We should try to get solution of all problems without getting fed up.